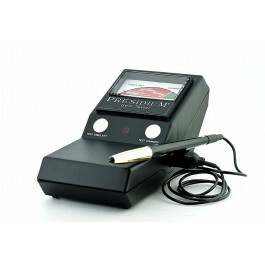 Presidium Gemstone Tester / Colored Stone Estimator is the only colored gemstone thermal tester in the industry. It provides a quick and easy way to identify diamonds and separate common colored gemstones from one another based on their thermal conductivity. Coated gemstones can also be generally tested with the PGT/CSE. 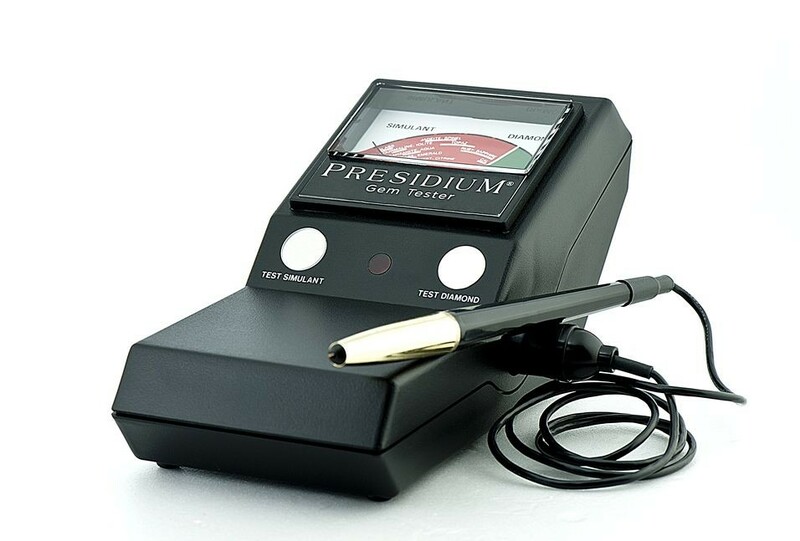 The Presidium Gem Tester / Colored Stone Estimator has a retractable probe tip that ensures consistent pressure against the gemstone during testing for more reliable results. With the industry’s thinnest probe tip size of 0.6mm, PGT/CSE tests diamonds as small as 0.02ct.